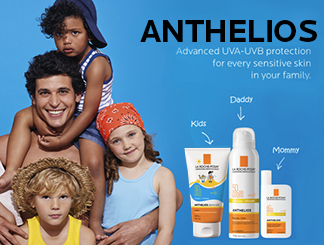 If you have sensitive skin, it’s especially important to make sure you are protected from the harmful rays of the sun. Using sunscreen should be a key part to your daily routine when it comes to protecting your skin from the damaging effects of UV rays. Mother of two, Maja Markovich is keenly aware of this and shares her story about her and her family’s commitment to good sun habits and cancer prevention while the pharmacist, educates our viewers about what to look for when choosing a sunscreen.